Not fixing your problem but actually I would like to switch too. How do you do it? Thanks. I installed the lightdm-kde-greeter, but it didn’t have any effect. KDE users should use Discover app store instead of Pamac, but looks like it doesn’t work well with Arch based, I couldn’t make it work well, I don’t know if there is some conflict between Pamac and Discover or other issues, the integration doesn’t work well… The AUR packages didn’t show up on Discover too, so… for now, the best solution is to use Pamac or the terminal, or try the commands suggested by Adam in the linked thread. Also there is a security risk with Discover & Arch: it was not asking for a password before removing/installing packages, very weird. So, avoid it for now. 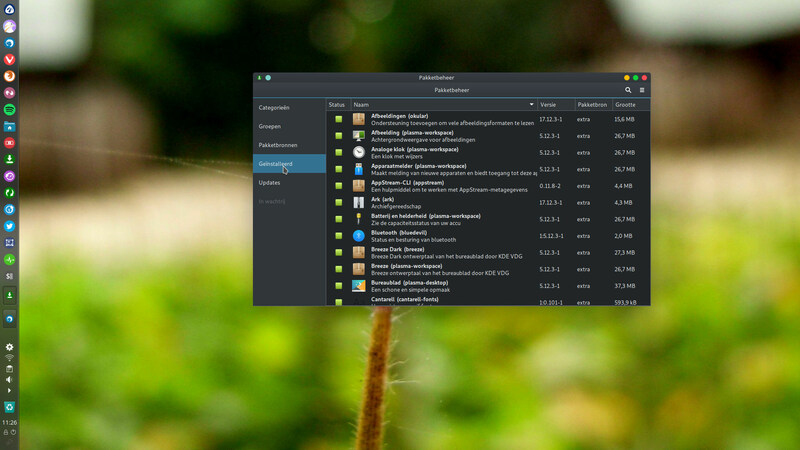 breeze-gtk theme will make gtk apps looks like breeze ! …Pamac works fine for me, I just want to have shadows for GTK apps! 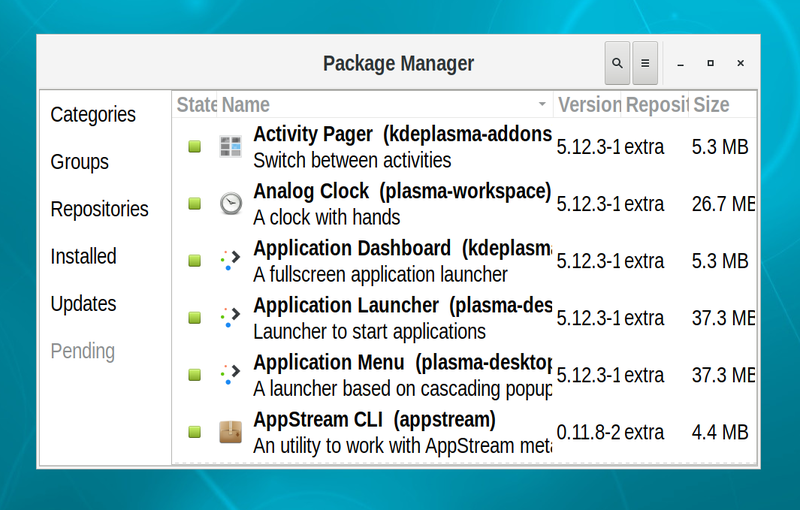 The problem with missing GTK3 shadows in Plasma is discussed in many places in Internet. You might search for it yourself. Otherwise, you could simply read the forum. For example, here. 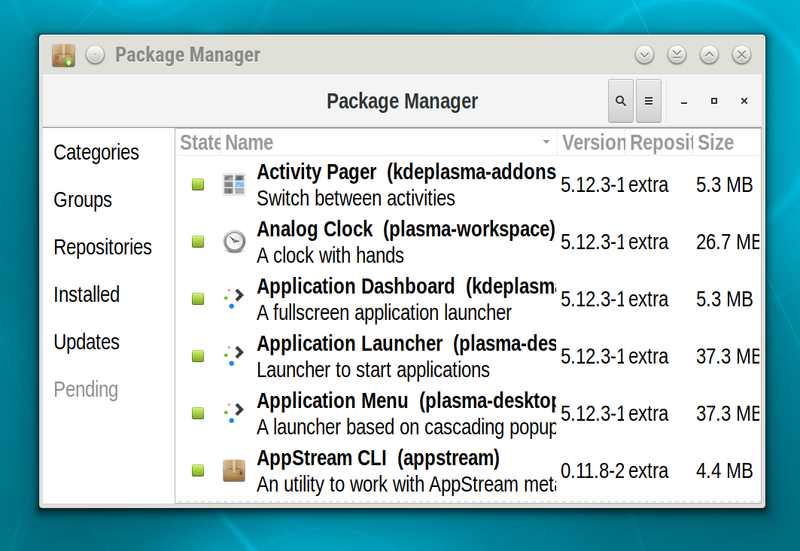 The topic describes pros and cons of the workaround, which allows to get GTK3 shadows in Plasma. I’ve installed the gtk3-nocsd-git and lib32-libgtk3-nocsd-git packages also and to me Pamac looks very acceptable in KDE. I’m completely agree. A double titlebar is a low price for getting decently looking GTK3 windows in Plasma. If they are working well… maybe they could be added to Antergos KDE metapackage and come pre-installed when users installing Antergos choose KDE… I don’t know, just an idea. …maybe they could be added to Antergos KDE metapackage and come pre-installed when users installing Antergos choose KDE… I don’t know, just an idea. I’m firmly convinced, that adopting meta packages was and remains a bad idea, taken by developers by the end of 2017. Meta packages should be completely removed from Antergos, not modified or improved.